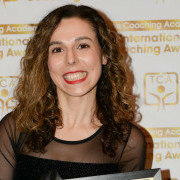 Andreia Trigo (RN BSc MSc) is a Fertility Nurse Specialist, TEDx Speaker, Awarded NLP Coach of 2017, author and founder of inFertile Life. After going through her own fertility challenges, Andreia has made her life mission to support other people in their fertility journey. Whether you’re trying to create a new fertility plan, want to increase your chances of success in achieving that plan or trying to cope with the losses of infertility, Andreia can support you through each stage of your journey.